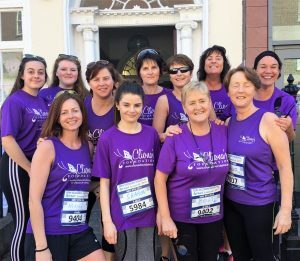 Achieve a personal challenge and help support families of sick children by taking part in the Great Limerick Run with Cliona’s Foundation. You can run, walk or even crawl and have the option of doing the 6 mile, half or full marathon, we just want to have you with us! For the first 50 people who register with us, we can offer you a 10% discount on the registration fee. Contact us at [email protected].ie or call 061 – 331333 to get your discount code. Sponsorship cards are also available if you think you can round up some cash for your fantastic effort. Get your family, friends or work colleagues to register too and have a really great, fun day out while supporting a Family Charity. 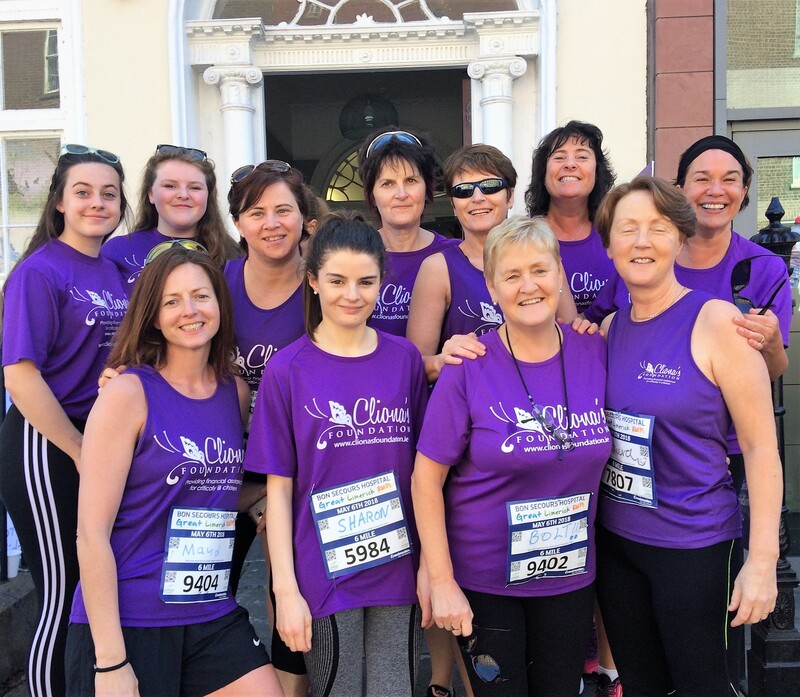 As a member our team you will receive our newly branded tech t-shirts, have access to our base camp on O’ Connell Street before and after your event – to leave in your belongings and have post event refreshments. If you have already registered and want to be part of our team please give us a shout. If your kids are participating in the Fun Run why not deck them out for Cliona’s as well! Find out more about the Great Limerick Run here. 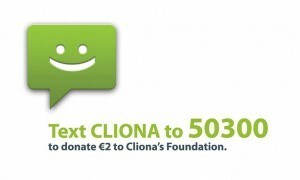 Please note, the only income generated for Cliona’s Foundation from the GLR is through any donations from those who register with us. That is why your participation is so important to us.